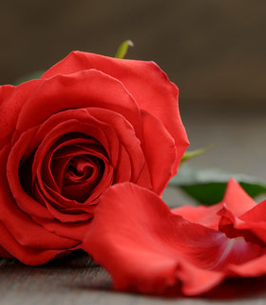 Virginia Quello of Marquette passed away peacefully on Friday, September 7, 2018 at the Eastwood Nursing Center in Negaunee. Virginia was born on December 2, 1921 in Marquette, the daughter of Ida (Niemi) and Hogan Hoganson. She attended the public schools in Laurium and Calumet. She worked for Michigan Bell, Keweenaw Mountain Lodge, and the Calumet Public Schools with their hot lunch program. Virginia was married to Chester Polkinghorne in 1948, together they had 2 sons, Keith Polkinghorne survives, and Stephen Polkinghorne who passed away in 1970. After Chet’s death, she married Julius (Jocko) Quello of Mohawk, Michigan in 1960. Julius passed away in 1997. A son, Paul Quello survives. A son from a previous marriage, Robert Tebeau of Detroit survives. She was a member of Bethany Lutheran Church in Mohawk, where she & Jocko taught Sunday school, and sang in the church choir. When they moved to Hurley, WI, they joined St. Paul’s Lutheran Church in Ironwood. 8 grandchildren and 9 great grandchildren survive. A memorial service will be held on Saturday September 15, 2018 at 11:00 am at the Erickson Crowley Peterson Funeral Home in Calumet, with Pastor Tim Johnston to officiate. Friends may call at the Erickson Crowley Peterson Funeral Home in Calumet on Saturday, September 15, 2018 from 10:00 am to 11:00 am. 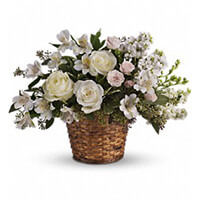 To send flowers to the family of Virginia Ione Quello (Hoganson), please visit our Heartfelt Sympathies Store. I was so sorry to hear that your mother passed. I knew her when she lived in the Laurium Housing where I was the Director. She was so full of life and had a great sense of humor. I know she will be missed by all that knew her. My deepest sympathies to all.